When many people think of farmhouses, they see these sprawling estates on plots of land that span past the horizon. But sometimes a farmhouse can act as a second home, a smaller dwelling for someone who wants less space to keep up on or a vacation retreat. 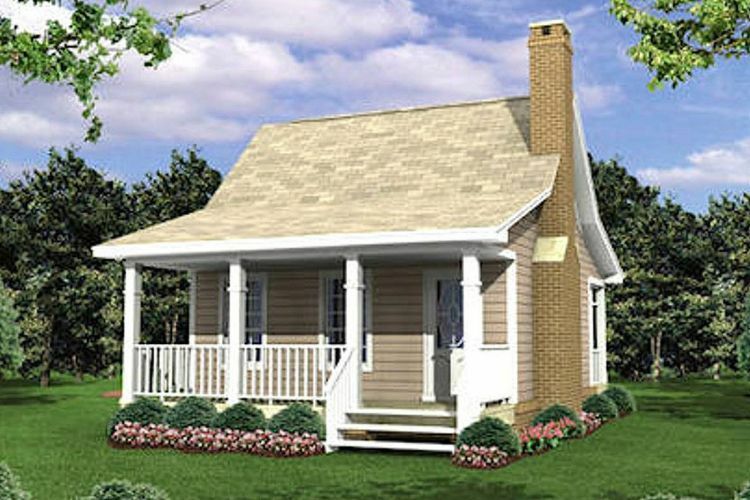 Below are several farmhouses that have only one bedroom. 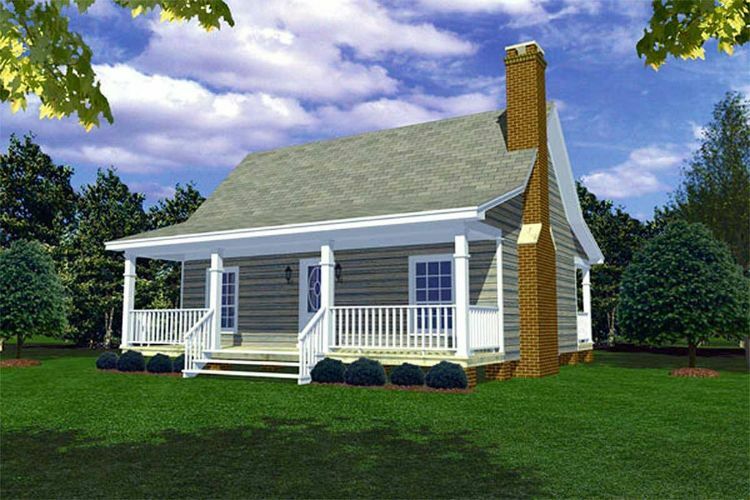 It’s perfect for a retired couple, a single occupant or a family looking to downsize or go green. 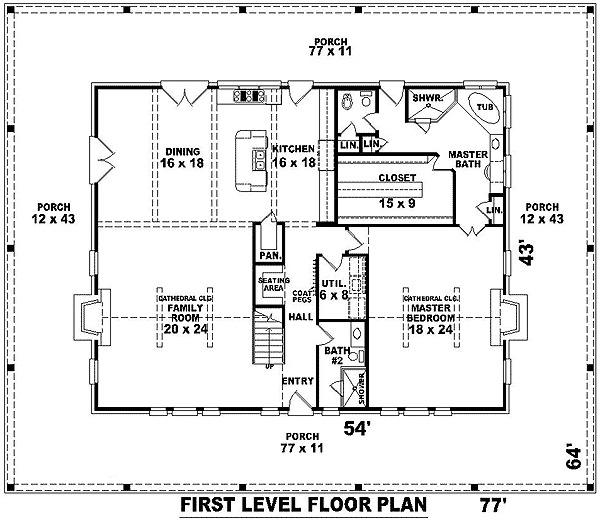 Though just because the floor plans are small does not mean they lack usability. Whether it’s a single large bedroom, a bonus room or a game room, these homes have plenty of functionality. 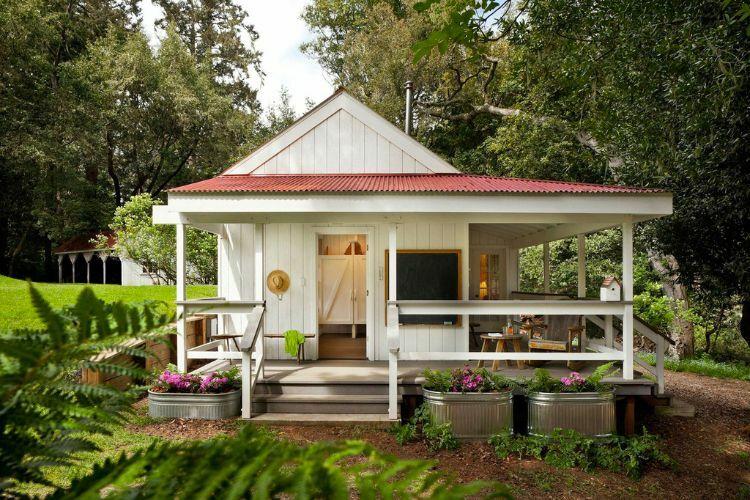 This farmhouse is perfect as part of a getaway or a small home for a pared-down life. 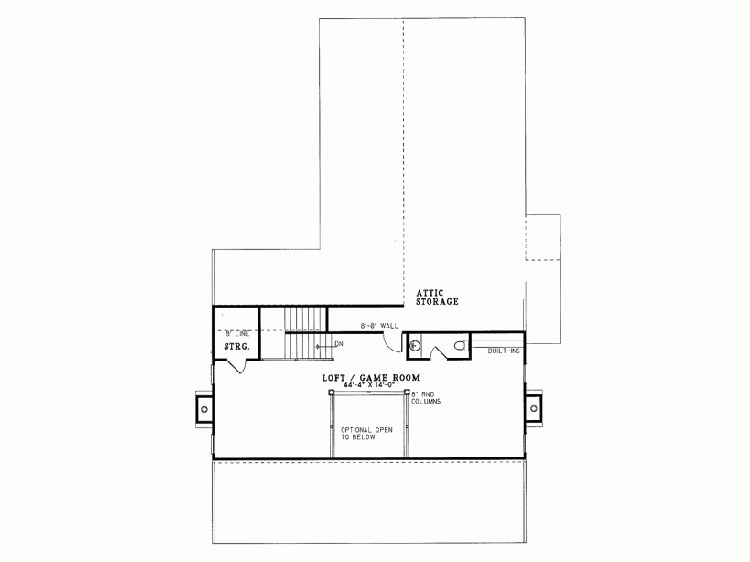 The floor plan sits at 388 square feet (36.04 square meters), and has two "WC" areas that could function as bathrooms. 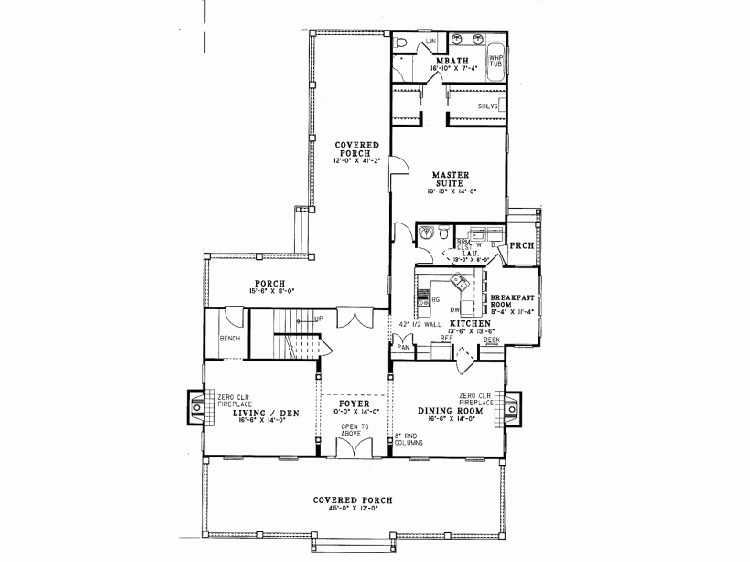 As the floor plan shows, the size of the bedroom makes up for the fact that there is only one. 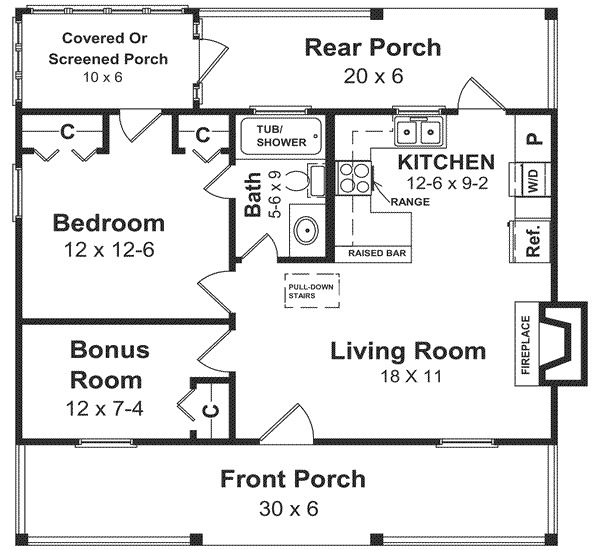 This floor plan comes with two options: a small bedroom with a bonus room or one large master bedroom. It also has one bathroom to match the one bedroom. A larger living room leading right into a kitchen gives this space an open feel. 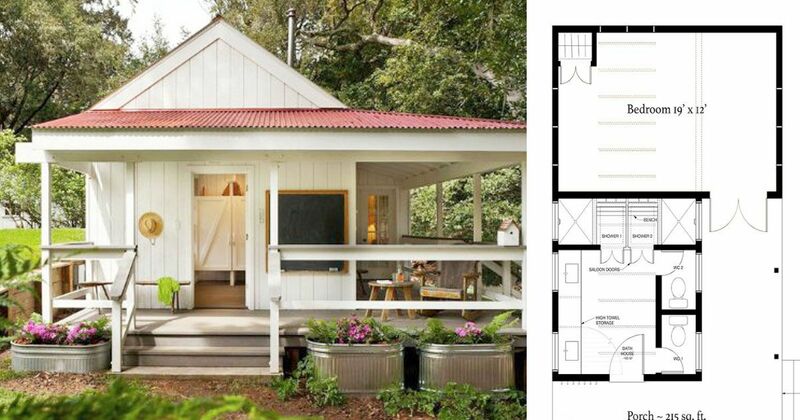 This little 400-square-foot (37.16 square meters) one-story plan has one bathroom with its one bedroom. 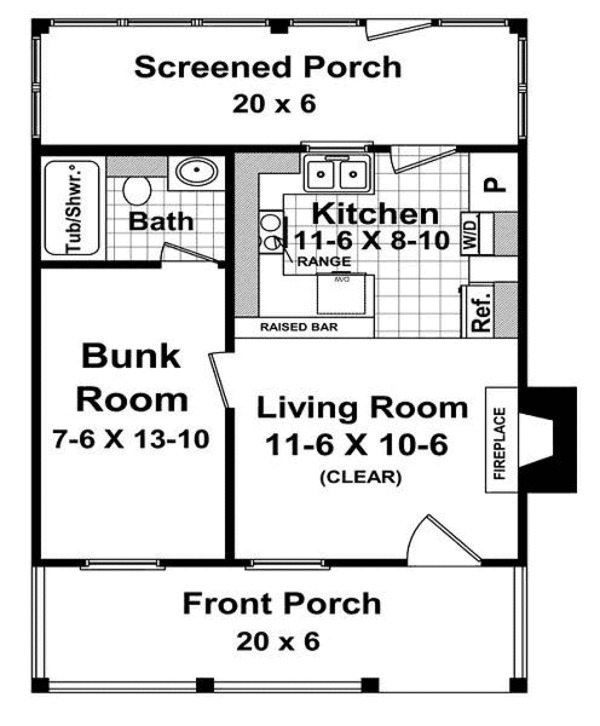 The bedroom is listed as a “bunk room,” while the living room leads right into the kitchen. A raised bar sits right off the living room for severing and dining space. 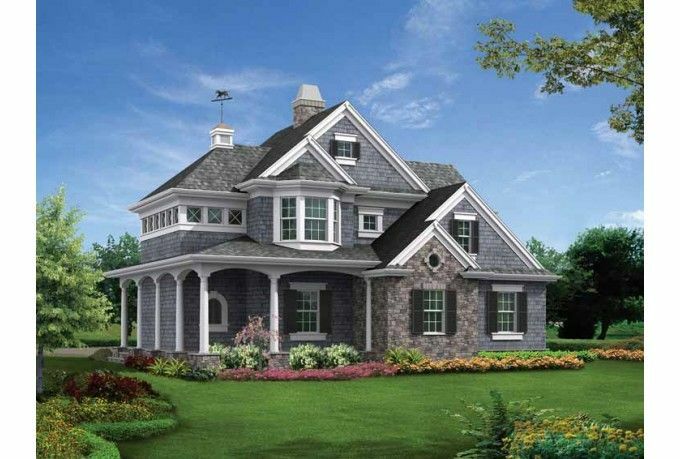 This home takes a cue from Victorian styles, but still has the steep roof and porch space found in many farmhouse styles. This one also has one bathroom with the one bedroom. 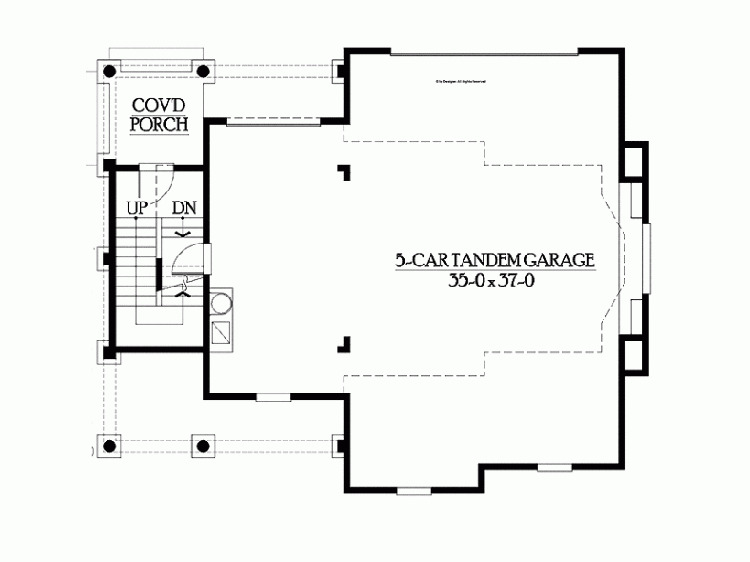 The floor plan is interesting in that the first level is mainly a large garage. 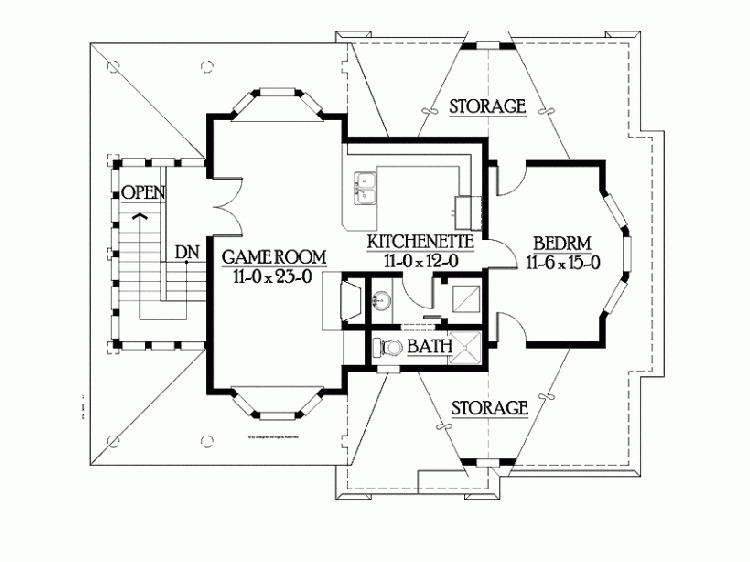 The second level is devoted to living space and features a large game room. 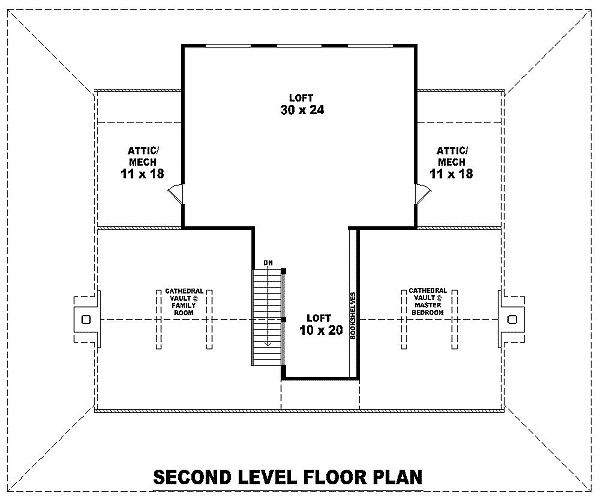 Even though there is only one full bathroom and one bedroom, this floor plan still makes room for a loft/game room area and a den. 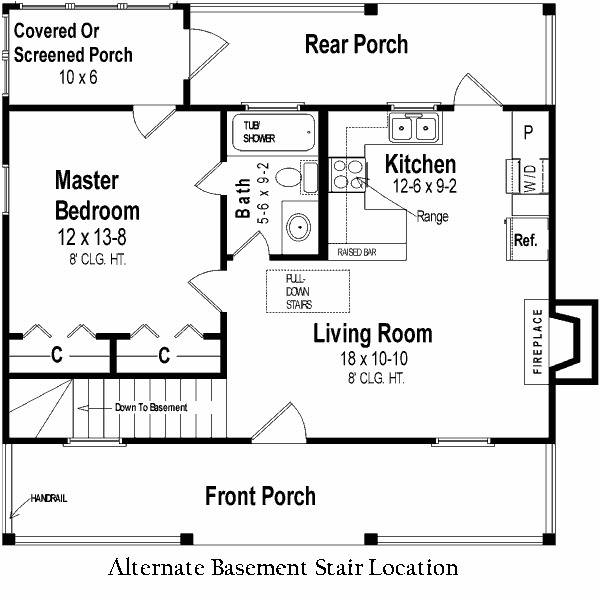 The one bedroom is a spacious master suite, and there are two half baths. And the home has a generous amount of porch space. 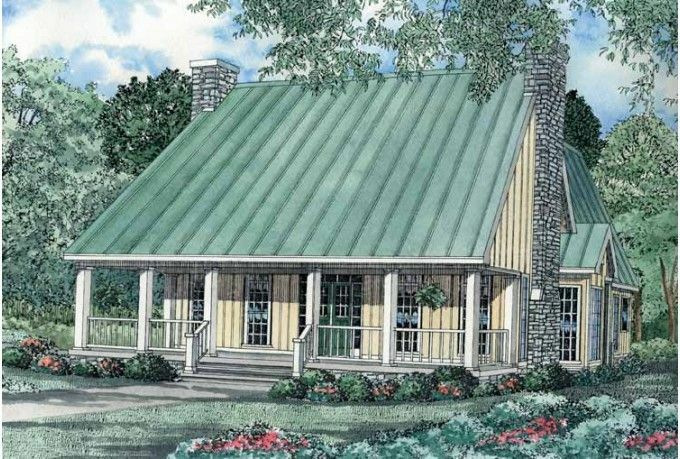 A unique feature of this floor plan is, of course, the porch that completely wraps around the whole exterior of the home. Talk about generous porch space. 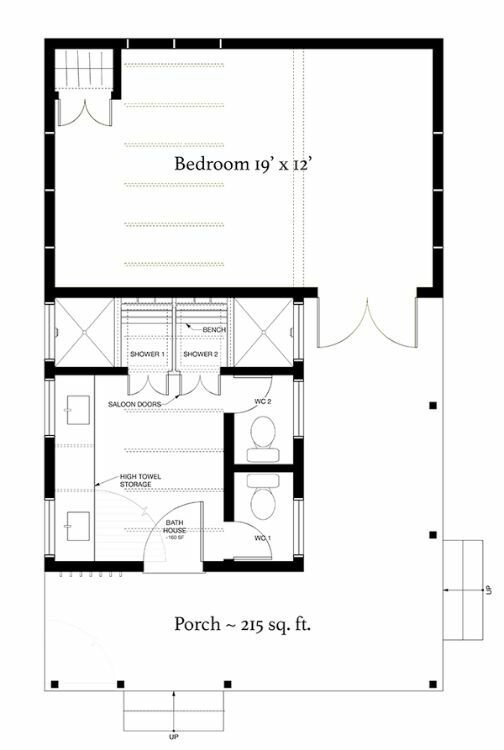 The one bedroom is a master bedroom that connects to a master bath with a walk-in closet. There’s also another smaller bathroom. And the second floor is devoted to a loft space. What does your dream home look like? 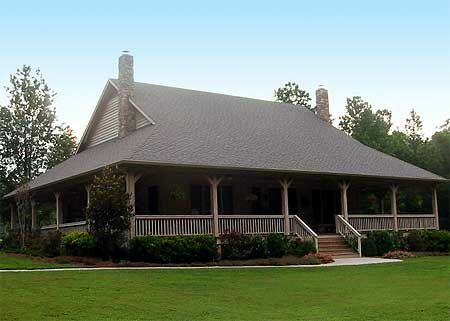 Do you picture watching the sunset from your wide, wraparound porch?